For many timeshare owners, one of the best things about owning a timeshare is the ability to exchange it for vacations at a variety of exciting places. Owners with a unit at a Mandatory resort can use Starwood points, called StarOptions, to exchange their timeshare within the Starwood Vacation Network. 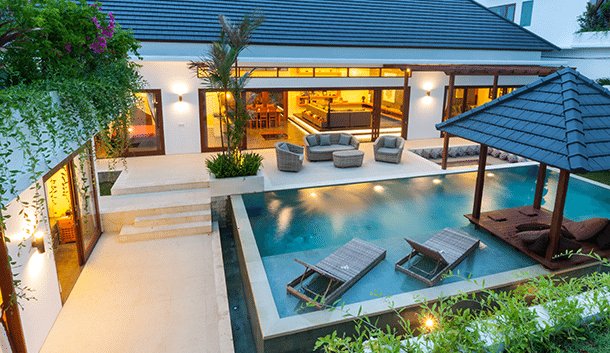 Owners at Voluntary resorts do not have this option, however all Starwood owners can use an external exchange company to vacation at one of thousands of resorts worldwide. Buy Starwood points today, or learn more information on Mandatory vs. Voluntary resorts by visiting our Starwood Information Center. For more information, fill out the form on the right side of this page or contact us directly by calling 1-877-815-4227. To process an internal Starwood exchange, owners need StarOptions, the points used by Starwood resorts. In order to receive these Starwood points, resale owners need to purchase a unit at Mandatory resort. Then the points can be redeemed for stays anywhere within the Starwood network. The number of StarOptions you will receive is determined by your season and your unit size. StarOptions may be used to reserve a resort within the Starwood Vacation Network. You can reserve a stay at any Starwood resort by calling Starwood to request the reservation up to eight months prior to your vacation. For more information on reserving your Starwood vacation, see our Starwood reservations information page. If you do not want to use your StarOptions during their use year, you may bank the StarOptions to be used the next year. This allows you to save your StarOptions and use them for a bigger room or better season than your owned week. You may bank up to a full year's worth of StarOptions and they will be available for up to two years. There is a $99 fee to bank your StarOptions. In addition, banked StarOptions cannot be submitted to an exchange company. All Starwood timeshare owners can exchange their week externally. You may choose to exchange with Interval International, RCI, or any other exchange company, and are responsible for all fees associated with the exchange company. However, if you have a StarOptions Mandatory resort and pay a Starwood Vacation Network membership fee, this fee includes membership to Interval International.